My Interview at The Amp Hour! I had a great time as a guest of The Amp Hour. We talked about everything from device physics to circuit design into the mm-wave frequencies and beyond. Although this interview took place a short while ago, I thought it would be beneficial to also have a link here at The Signal Path. 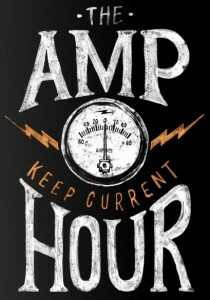 Also, don’t forget to listen to the many great episodes of The Amp Hour. The link to my interview can be found here. Thank you for sharing your unique knowledge, experience and passion for learning – the wings of the butterfly echo into eternity. Hello Shahriar, I recently listened to your interview at The Amp Hour. I enjoy your philosophy and that you make time to teach electronics. Because of you I recently started studying The Art of Electronics and many practical electronic assemblies. Personal big thank fore you, and i hope to see soon a new episode on your website. All the best frome Bucharest, Romania.